It started in 2010. NASL was breaking away from USL and St. Louis had an expansion team. AC St. Louis may have been doomed to fail after one season, but the fans weren’t. A group of obsessed soccer fans in the corner of a small stadium found kindred spirits and a sense of belonging. We were diverse and silly. We couldn’t wait for gameday. When the plug was pulled on our team, some of us decided we weren’t willing to give up our Saturday nights together watching soccer (and drinking beer). We kept supporting soccer and we relegated ourselves down to the USL-PDL and the St. Louis Lions. Many a summer weekend on metal bleachers in the boiling sun with less than 50 people in the crowd including parents of players. I’m not saying everyone joined us for the ride, but enough of us did to keep the dream alive. Sometimes it was 15 people in a parking lot or 6 guys in a van on the way to Iowa or Springfield. There were some bleak times and bad soccer, but we had each other. Along the way we picked up a few more true believers we found through social media or at Amsterdam Tavern, iTap, Tigin or Barrister’s. There are always more soccer fans out there looking for a home. 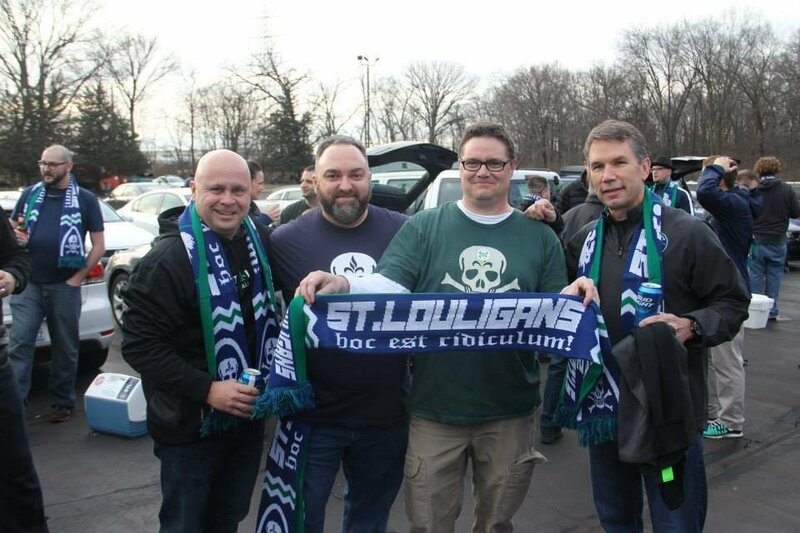 We also met a lot of great people in St. Louis soccer community. Most of those people were happy to see us showing up at different events around town and welcomed us. Many have become friends and supporters that we see at anything having to do with soccer in St. Louis. It’s this extended family that proves St. Louis, while proud of our great soccer history, has a great soccer future. In 2015 we got a big reward. Professional Soccer was back. Saint Louis FC came to town and its owners and front office totally got it. They embraced us (and all soccer fans) and we grew by leaps and bounds. 400, 500, 600… The new corner is packed. We even got some of our friends back from 2010. All the while we were doing this- the reward was always the same: love of the game and a sense of community. We’ve always said that this isn’t about the future, it’s about the NOW. Enjoying it for everything it is, not complaining about the things it wasn’t. While other cities talk about being built for the next level or always chasing the bigger and better, we’ve tried to tell our followers to appreciate what we’ve got. (By the way, we’re not knocking how other teams and fans in other cities do their thing, each community is different.) It shouldn’t matter if your team is in the top division or amateur. They’re your team. Embrace them. Our ownership with STLFC has always agreed with us. Early on in the process, whenever someone from the club was asked about MLS, the answer was always the same: Focus on what we’re doing now. Do it well. Let the future happen. If it was meant to be it would be. 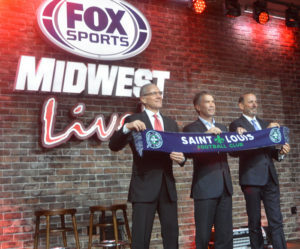 It’s no secret that MLS has always wanted to be in St. Louis. Going back to 1996 St. Louis has always been on the shortlist of expansion candidates. We got pretty close in 2009 but it wasn’t meant to be. As of today it looks like it’s finally going to happen. Don Garber is ready and St. Louis is ready. We’ve got a committed ownership group and a solid fanbase that they helped establish (we had a small part in that too). The work isn’t done. There’s the pesky little detail of getting a stadium plan approved and paid for. A topic for a later discussion, but we’ve seen in D.C., Miami, New York City and other places that sometimes stadiums take time. But we’ll be ready. In the meantime I want to invite you all to the best party there is for a soccer fan. 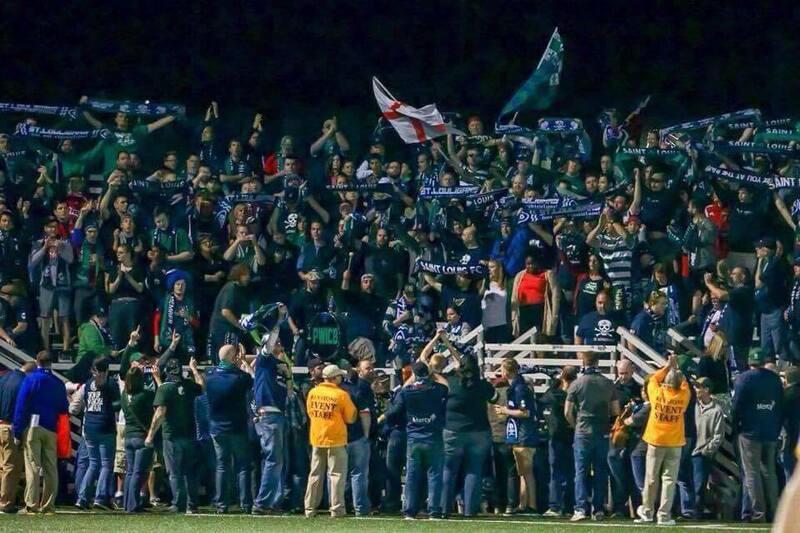 Saint Louis FC games are some of the most fun I’ve ever had. I’ve been to USMNT games, MLS games, European Friendlies, etc. etc. 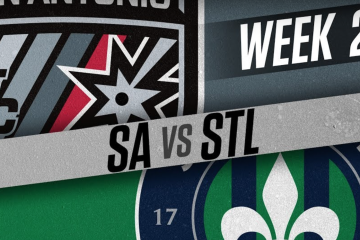 But Saint Louis FC is MY team. It’s YOUR team. MLS is a few years away still and we’ve got to build our crowds from 5,000/game to 20,000. We need your help. Whether you’ve been to all the games, a few games or none- we need you. 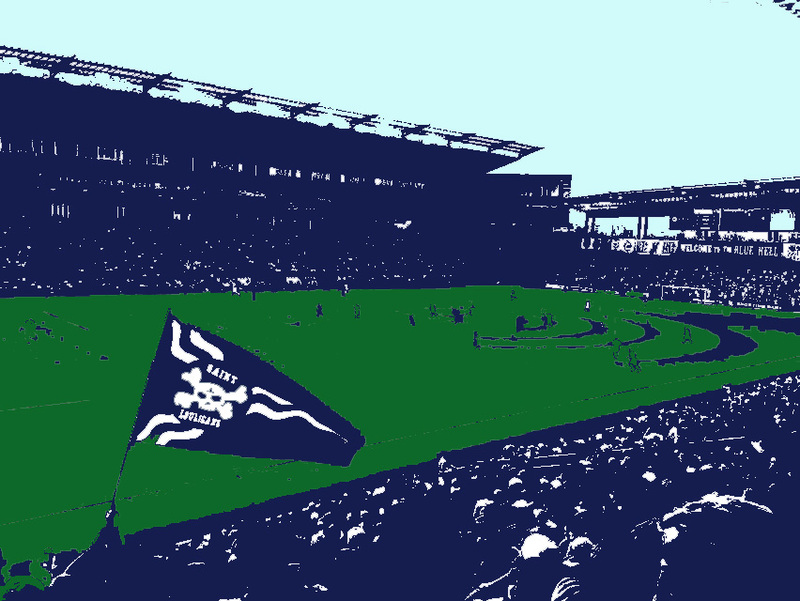 Let’s go into MLS with full momentum and a crowd that already lives and breathes blue & green. No need to wait for 2020- Be. Here. Now. Even if you’re not quite a fanatic for the game, there’s a place at Soccer Park for everyone. We hope to see you in 2017.